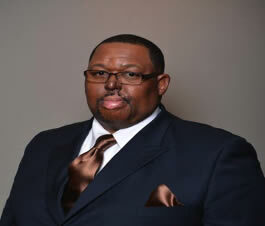 Brother Wright is a native of Kirbyville, TX; and moved to Beaumont, TX in 1987. Brother Wright is married to his wife of 29 yrs. Mellownees and has three children Walter Lee Wright III, Charles E Wright Jr., and Kimone A Wright. He is a member of the Borden Chapel Baptist Church Beaumont, TX for over 25 yrs. And currently serves as Chairman of Deacons, Men Ministry President, Male Chorus, Teacher, and Van Driver under the Pastoral Leadership of Reverend Dr. Airon Reynolds Jr. He has also served as Laymen President of Eastern Progressive Missionary Baptist District Association for the 16yrs under the leadership of Moderator, Dr. Airon Reynolds Jr. Brother Wright served 14 yrs. under the leadership of our late laymen president; Deacon Curtis Oneil Savannah and Southeast Region Vice-President for 6 years. The Laymen of the Southeast Region made history by being the first group of laymen to baptize in the convention. Brother Wright has worked with the national laymen movement evangelism team in 2014 in Dallas during the National Congress and 2015 the National southwest laymen workshop on last year in Mobil, Al. Brother Wright is in his second year as President of the Baptist Missionary and Education Convention of Texas Laymen Movement.